We just released GoldSim 12.1 Update 2, which includes some noteworthy features even though it is labeled a "minor update". In this blog post, I will briefly describe some of them. A new model was added to our library that simulates run-of-the-river hydroelectric power generation. 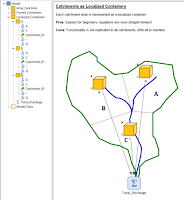 This model simulates a dam that is operated at a constant water level with insignificant amount of storage compared to the daily flow through. It is based on work by one of our expert modelers for a project on the Aksu River, located in northeastern Turkey. 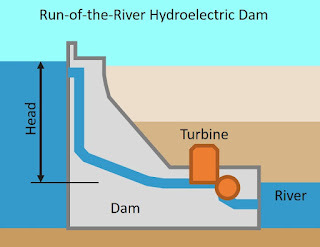 Below is a picture showing the dam that this model was originally created for. 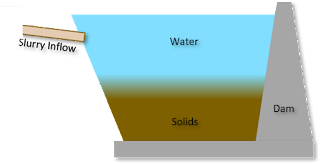 I created a model for demonstrating how to simulate mixed-media storage that accounts for changing quantities of solids and water over time. This kind of model is useful in mine water management models (tailings facilities) and also for simulating sediment accumulation in reservoirs. GoldSim makes it easy to account for the changes in the media while also managing overflows and operations of inflows in a way that is easy to use and understand. Using GoldSim's built-in probabilistic simulation capabilities, it is straightforward to perform statistical analysis of time series data. 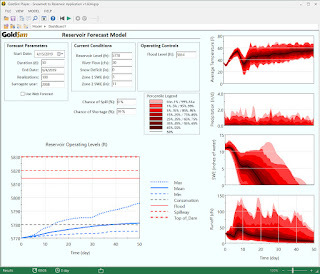 An example model was built and added to our library, which demonstrates how Monte Carlo simulation is used to analyze daily time series data of streamflow to produce daily, monthly, and annual statistics. 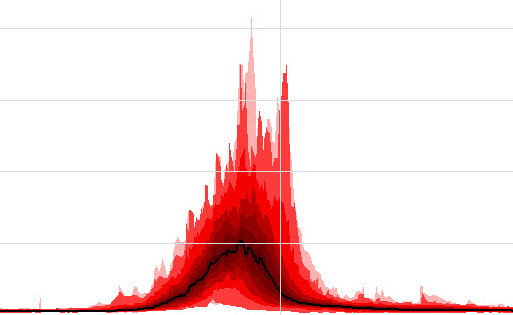 In addition to this, the model finds a best fit probability distribution for these statistics. Last month, at the annual symposium hosted by the Arizona Hydrologic Society, I presented on probabilistic reservoir forecasting using GoldSim. 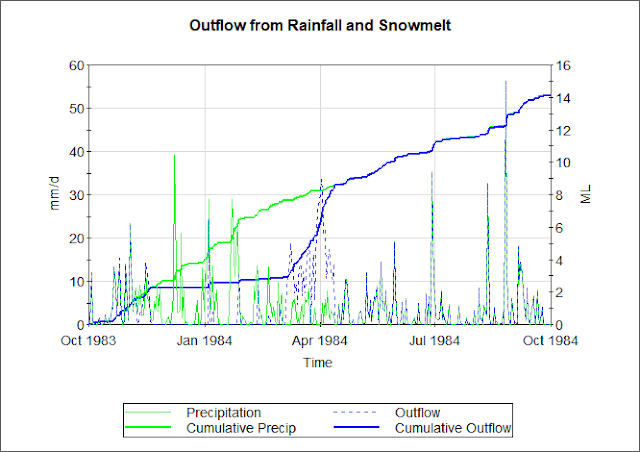 This model combines many existing components available in our library to forecast snowmelt driven runoff inflows to a reservoir and estimates risk of spills and/or shortages. This blog post provides you with some pointers that should help you build a runoff model in GoldSim. 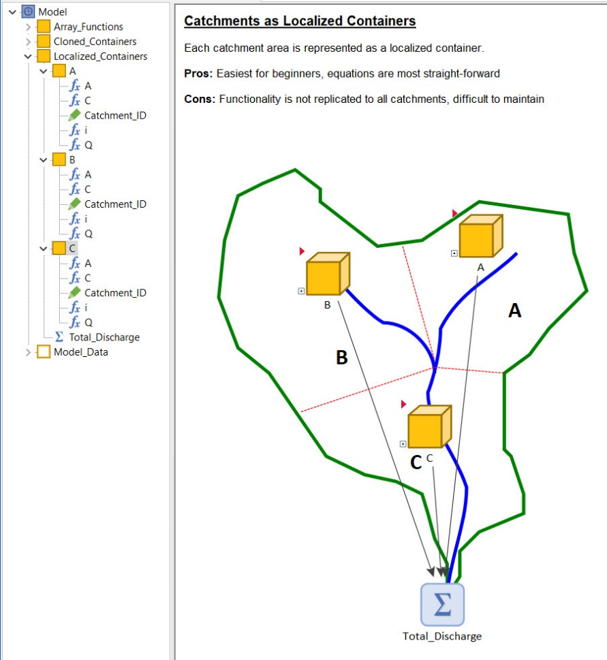 Now that many models have been added to our Model Library, there are many components you can drag and drop into your model to help with the development and calibration of a watershed model that is used to calculate a downstream runoff hydrograph based on upstream precipitation and changing temperature. Snowmelt is also discussed. The 2018 GoldSim User Conference was held on September 10-12, 2018, and was a great success. The conference was held at the Washington Athletic Club in the heart of downtown Seattle. 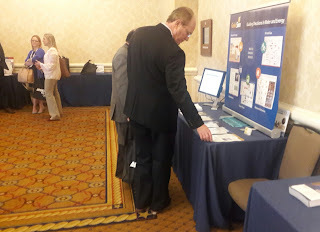 With nearly 60 attendees from North America, South America, Asia and Australia, the conference provided great opportunities for our users to discuss and present their GoldSim applications, and discuss simulation techniques with other users and GoldSim staff. I've updated many of our dashboard examples to include the new embedded chart feature available in GoldSim 12.1. Many of these have been updated since my last blog post showing example dashboards. Below are screen captures showing some of these along with links to read more about them and even download the models so you can try them out yourself. The proportional-integral-derivative (PID) controller is a useful feedback control mechanism commonly used in industrial applications such as furnace temperature control, pH neutralization, and flow control. These systems commonly require that their state be monitored continuously and controls adjusted based on error from a setpoint or target. As seen in the schematic below, the controller makes a change to a process then a sensor is used to provide feedback to the input of the controller. This type of control can also be used for controlling inflows and/or outflows from a storage facility like a lake or water tank. 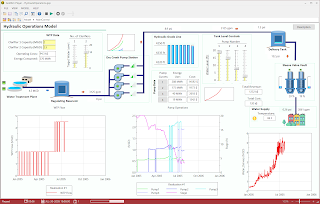 This blog post describes the application of the PID controller in 2 different GoldSim models: a detailed process flow model with a cylindrical tank and an environmental system with a large water supply reservoir. This logic is found to work well in both cases even though they . We are excited to announce that GoldSim 12.1 is now available. Embedded dashboard charts and tables: You can embed a result window (as either a chart or a table) directly into a Dashboard. 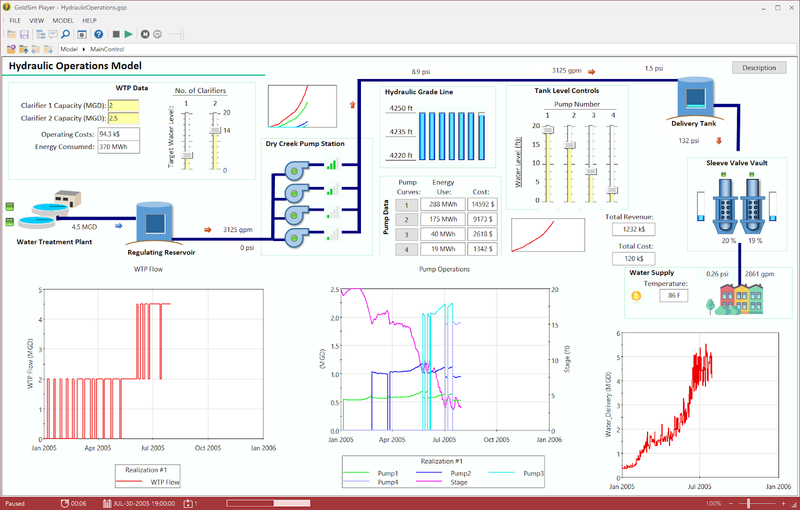 Real-Time updating of result displays: Time History results are updated continuously (each timestep or each realization) during the simulation. Exporting time history probability statistics to a spreadsheet: Export multiple statistics from Probability History results. Model inventory: Generate a simple XML file that can be viewed in a text editor, browser or XML editor that echoes out all of the elements in a GoldSim model. All of the new features in GoldSim 12.1 are described in detail in the GoldSim 12.1 Summary Document. In addition to an updated Help system to describe all the new features, updated user manuals are installed with the software (in PDF format). Bound manuals can also be ordered directly from Amazon.com (and this is likely to be less expensive than printing and binding them yourself). You can download GoldSim 12.1 directly from the GoldSim website. In order to use GoldSim 12.1, you must enter a new Activation ID. All users with current Maintenance should have received a new ID. One of the many strengths of GoldSim is its graphically enhanced user interface, which allows you to quickly build your model from reusable components. 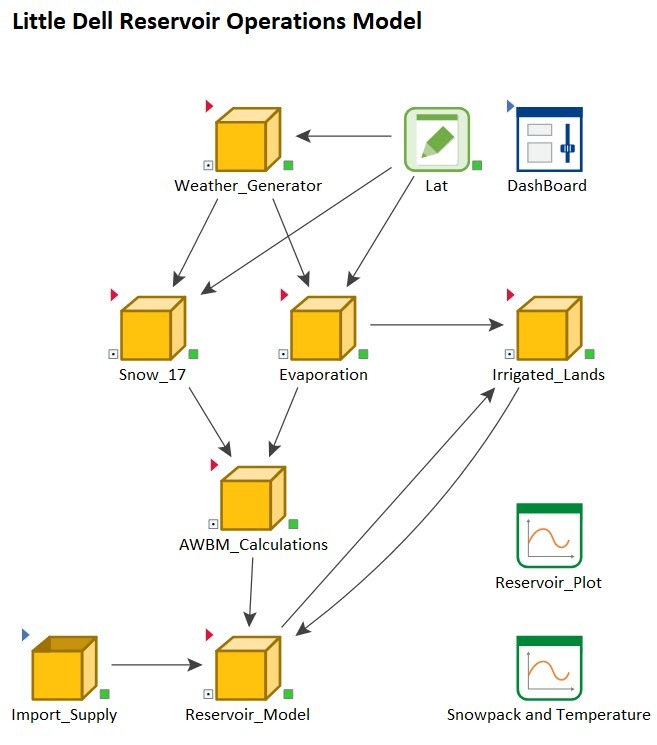 During a recent webinar, I built a reservoir operations model that receives water from a snowmelt driven watershed using 6 existing models found in our Model Library. Once I understood what my modeling requirements were, I was able to quickly compile a probabilistic system model that is powerful in demonstrating how to operate a dam that services changing water demands and climate scenarios, which protects against downstream flooding. 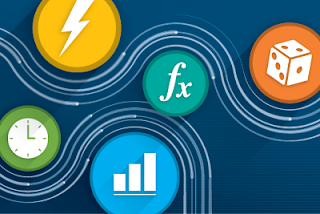 We want to alert you to an exciting new addition to our model library, a ready-to-use GoldSim/Python interface that enables you to define external functions in pure Python which are called by GoldSim during a simulation. Both 32- and 64-bit binaries are available, so you can choose the appropriate one for your installation of Python. Source code is also included for reference (or further development), if you are interested to see how the interface is implemented. The GSPy interface provides support for passing scalars, vectors and matrices as input and output arguments, which we anticipate will meet the majority of interested users' needs. For more extensive support of data types (such as Lookup Tables and Time Series Elements), refer to this related model library example: Python DLL. One key difference between the two examples is that Python DLL uses Cython, a code generation tool, and must be compiled before you can use it. In contrast, GSPy does not require Cython-generated compilation and it is distributed with binaries requiring minimal setup. It also supports error relay from the Python module to GoldSim. 1) Install the 32- or 64-bit Python 3.6 Anaconda distribution here: https://www.anaconda.com/download/. A significant advantage of installing the Anaconda distribution is that it comes already with several widely-used Python libraries such as NumPy, Pandas and SciPy. One of the examples that comes with GSPy uses NumPy to do matrix arithmetic. 2) Download and unzip GSPy.zip and follow the setup and testing instructions in the README.txt file. Binaries include GSPy.pyd and TestGSPy.exe (32- and 64-bit versions). The README provides simple instructions for setting an environment variable (GSPY) with the path to your Python installation and running TestGSPy.exe from a command line console to confirm that everything is set up correctly. 3) After you have confirmed that the GSPy environment is set up correctly, be sure to go through the three GoldSim model examples included in the zip file: GSPyScalarAddition.gsm, GSPyMatrixAddition.gsm and GSPySnowmelt.gsm. It is strongly recommended that you read through the detailed comments in the corresponding Python module files: GSPyModule_ScalarAddition.py, GSPyModule_MatrixAddition.py and GSPyModule_Snowmelt.py (note, as described in the README, you must change the name of the Python file to GSPyModule.py before running the example). Have fun and please send us questions and feedback at support@goldsim.com. Or better yet, come to our forum and post about it there where everyone can see it. We see great potential in combining the Monte Carlo simulation capabilities of GoldSim with the extensive well-supported and powerful scientific computing Python libraries that are freely available. The more chatter about this the better. So far, the topic has popped up in a couple places (here and here) in our forum. We hope to hear from you. The following results were generated by GSPySnowmelt.gsm, which calls a Python implementation of the snow-17 snow accumulation and ablation model (Anderson, E. A. 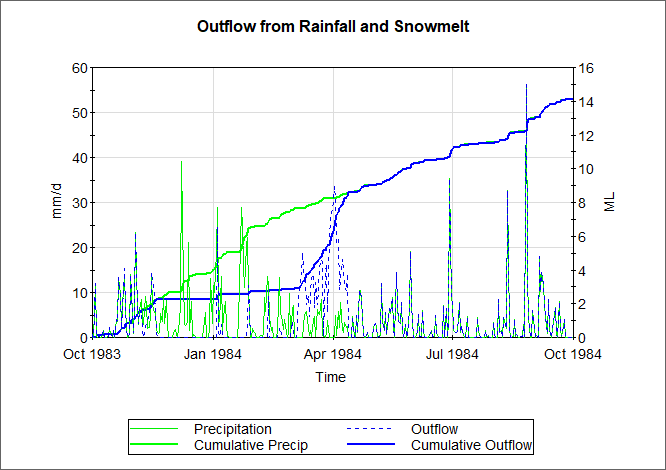 (1973), National Weather Service River Forecast System Snow Accumulation and Ablation Model, NOAA Tech. Memo. NWS HYDro-17, 217 pp., U.S. Dep. of Commer., Silver Spring, Md.). We are excited to announce that the next GoldSim User Conference will be held in Seattle on September 10-12, 2018. GoldSim user conferences provide great learning and networking opportunities for both expert and novice users. The conference will be preceded (on September 10) by an optional one-day Basic Training workshop focusing on novice users (and could also serve as a refresher course for more experienced users who have not used GoldSim recently). This training opportunity is particularly valuable since after attending the training you will then be able to meet expert users from around the world during the conference. The conference itself will be held September 11 and 12. On the first day of the conference, Two parallel advanced training sessions will be held. Each session will consist of a series of 1 hour training workshops on advanced GoldSim applications and modeling techniques. Attendees will be able to move between the two sessions in order to select the workshops that best align with their interests. Topics will be based on attendee requests specified on Registration Form. The second day of the conference will consist of a number of invited papers by GoldSim experts, panel discussions, and a poster session. To facilitate effective networking opportunities, the Conference will host two fun social outings in Seattle during the evenings of September 10 and September 11. These events not only provide a great opportunity to meet and socialize with other GoldSim users and GoldSim staff, but also allow you to enjoy the sights of Seattle. Spouses/partners can attend these two events (for a modest fee). 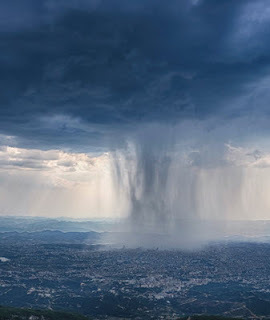 Now you can let GoldSim do all the heavy lifting for you when simulating weather for your next project. 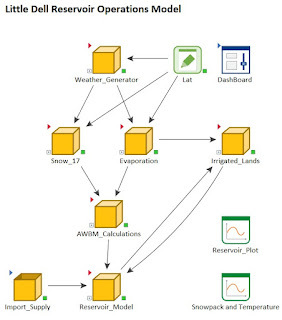 A new GoldSim model example in our library lets you quickly generate the input data required to run the WGEN model, which is a stochastic weather generator built in GoldSim that creates daily stochastic time series of precipitation, temperature, and solar radiation. This model (called WGENprep) uses time series data to automatically generate the input file you need to run WGEN. The WGEN model requires a lot of statistical information in order to run it and it can be quite a project to develop these inputs. With WGENprep, you can simply input the time series, change the simulation start and end time to correspond to the time series and the model will automatically export all the WGEN input data to an Excel spreadsheet. All you have to do is start up the WGEN model and then copy and paste the data from Excel right into the WGEN dashboard. These models were recently put to the test using some observed historical time series data gathered from the Salt Lake City airport weather station, provided by the NOAA National Centers for Environmental Information website. 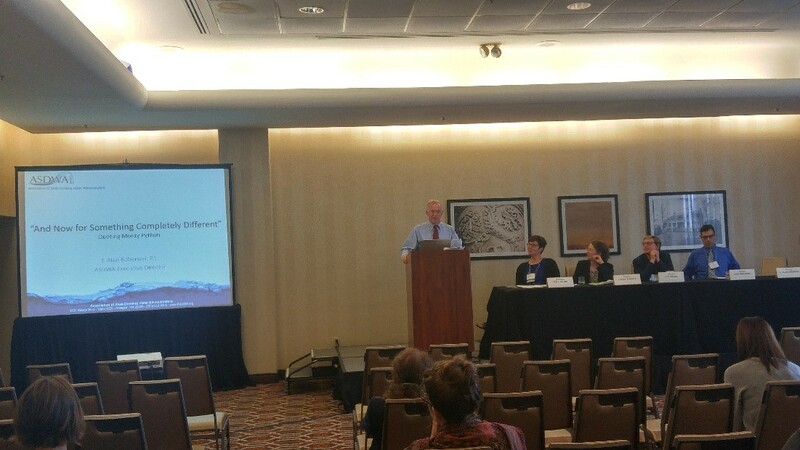 I recently traveled to Portland, Oregon for the AWRA 2017 National Conference to exhibit and participate in a presentation. With over 70 oral presentations to choose from, I was able to hear about a lot of the latest developments in the world of water resources. I also learned more about some of the unique challenges the Pacific Northwest is facing due to climate change, flood risk, and water quality concerns. Some topics were particularly relevant to GoldSim, such as decision support, risk-based planning, human health risk, reservoir operations, and fate of contaminants in water systems. An interesting GoldSim application was presented by Rebecca Pluche of San Francisco Public Utilities Commission to summarize on-going work to help manage critical dam operations during construction onsite. GoldSim Technology Group provided on-site training for the Arizona Department of Water Resources in Phoenix, Arizona last week. 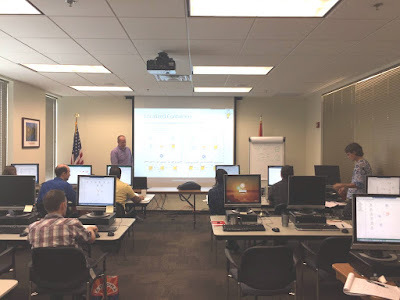 This training covered the basics of GoldSim software along with another full day of application specific training, discussing real-world examples and modeling tips to help the attendees start work on their projects immediately. The class was well attended and everyone enjoyed learning the software. I could tell everyone was thinking about all the ways they could use GoldSim to help answer their challenging questions. 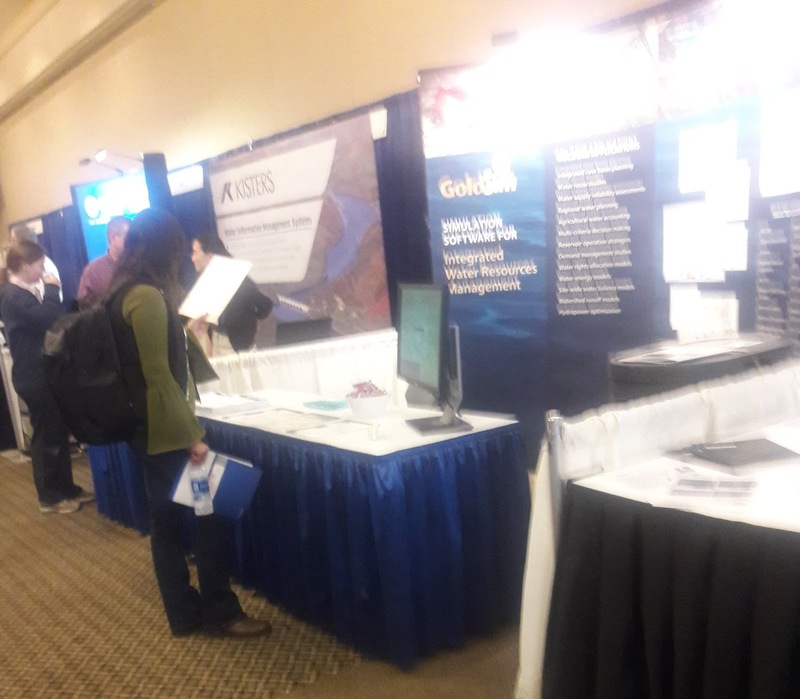 GoldSim presented a workshop and exhibited at the American Water Resources Association (AWRA) Summer Specialty Conference last week. The theme of the conference was “Climate Change Solutions: Collaborative Science, Policy and Planning for Sustainable Water Management.” The conference included many presentation and sessions on a variety of topics covering science, data, modeling, and tools for assessing climate risk and making water resiliency decisions based on cost/benefit factors. GoldSim is exhibiting at the Waterpower week in Washington conference this week. This conference provides three conferences into one: International Marine Energy Conference, Marine Energy Technology Symposium and National Hydropower Association's Annual Conference, which have teamed up for a 3-day event to network and discuss the news in the hydro and marine industry in Washington DC. The event highlights perspectives on the role of hydro, explores issues affecting hydro and marine resources, and helps participants develop a future game plan to meet challenges and ensure the future sustainability of the hydro and marine industry. Free, Self-Paced Online Training Course Now Available! We are excited to announce that the GoldSim Online Training Course is now available. We have been working on this for two years (creating an effective online course is hard work)! This “hands-on” course includes nearly sixty exercises and examples, and is linked throughout to a web-based version of the Help system, so you can immediately dive into reference documentation to explore any topic in more detail. This self-paced course provides you with a thorough understanding of the key concepts on which GoldSim is based. As such, it provides the fundamentals required to build complex models of nearly any kind of system. That is, it does not simply focus on the mechanics of using the GoldSim software; just as importantly, it explains the fundamental concepts underlying dynamic, probabilistic simulation in general. Although the course was primarily designed for those who are new to GoldSim, existing GoldSim users are also likely to find many parts of the course to be of value. When an introductory GoldSim course is taught in person, it typically requires two (intensive) days (16 hours). However, this course actually covers the material in significantly greater detail, so it will likely take up to three or four days to complete. The course is organized into Units and Lessons, so you can easily take the course at your own pace (and if you register, the site will remember where you left off). GoldSim 12 Has Been Released! GoldSim 12 has been under development for over two years and we are very excited about this new version. There are many new features and modifications in GoldSim 12. However, the most noticeable thing is the totally updated graphics engine and user interface. Although changes like these don't actually affect how GoldSim carries out simulations, they have a significant effect on how your models look. Being able to explain a model to others is critical, and a clean-looking model with nice graphics simply is much more effective and easy to communicate. Frankly, it is also much more enjoyable to work with a tool that has nice graphics and a clean and powerful user interface. All of the new features are described in detail in the GoldSim 12 Summary Document.